Our finalists were invited to the glamorous awards ceremony at the beautiful Hilton St Anne’s Manor near Bracknell to meet and mingle with the press, industry personalities and our other special guests. The winners was announced and presented with their awards and prizes at this inspiring occasion. 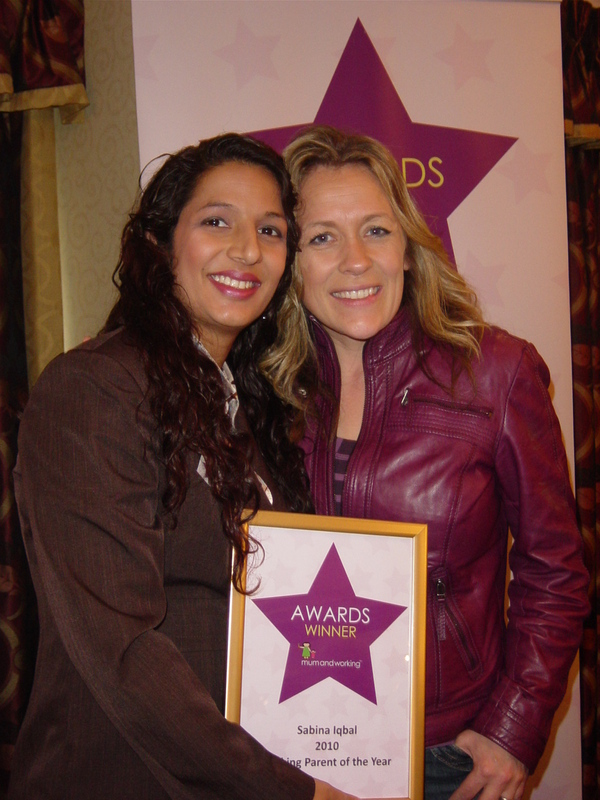 Sabina was announced as a winner of the ‘Working Parent of the Year 2010 Award’, presented by Sarah Beeny, TV Presenter together with a prize of Sanctuary Spa.